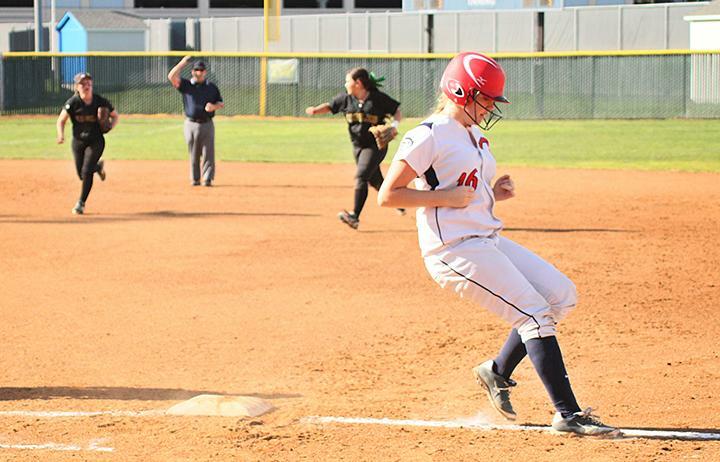 American River College’s softball team fell short against Feather River College 11-6, as FRC took a big lead early with a five-run second inning and added four more in the sixth despite ARC mounting a comeback in the middle innings. FRC cashed in on two miscues by ARC in the second inning, as well as timely hitting en route to a five-run frame. FRC played small ball, scoring runs on singles and otherwise playing base-to-base offense. Sharie Albert, ARC’s starting pitcher, had just come off her first win two days prior against Shasta College. Albert lasted two plus innings, allowing seven runs (four earned) on eight hits before being replaced by Lolli Conway, who pitched the remainder of the game. ARC trailed by a score of 7-1 heading into the bottom frame of the fourth inning before attempting to come back. ARC similarly played small ball, scoring two of three runs on singles by Cindy Van Bogart and Stephanie Scott, and scoring a third on an error by FRC. Two more runs scored for ARC in the fifth on a Darian Garnett single made it 7-6 FRC, but ultimately was in vain as FRC tacked on four more runs in the sixth following a bases loaded walk, wild pitch, and an error. Despite the defensive lax, ARC Head Coach Lisa Delgado was proud of her team’s effort to fight back from the big early deficit. ARC’s offense had more chances to score throughout the game, but were unable to bring in additional runs. “Left the bases loaded a couple of times again,” Delgado said. Albert believes more concentration could be the answer. The two teams were scheduled to play a second game immediately following the conclusion of the first, but the game was called after three innings due to darkness. At the time of the call, FRC lead ARC 5-0. According to ARC Head Coach Lisa Delgado, the game is supposed to be finished at a later date if possible. No date has been scheduled as of press time. 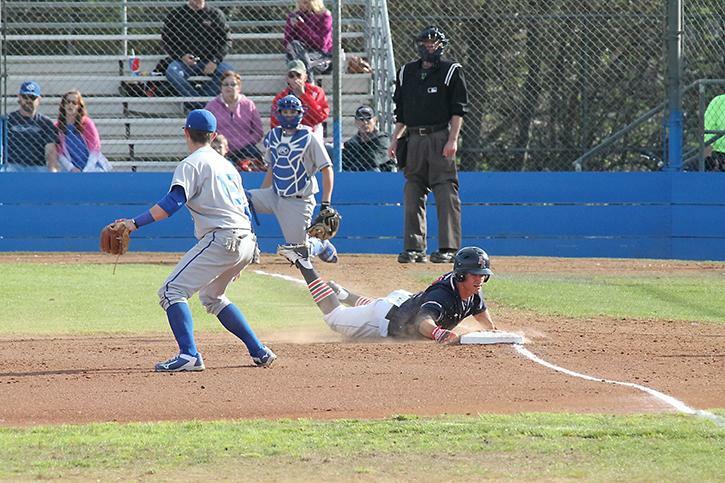 Be the first to comment on "Big second, sixth innings by Feather River College become ARC’s downfall in loss"